It doesn’t get more pamper worthy than The Ritz Salon! Luckily for you, we’ve chatted with their very own Spa Manager Hannah Wood to get some insight on pre-wedding bridal beauty and pampering from the best of the best. So read on and get your comfy slippers and fluffy spa bathrobes at the ready! 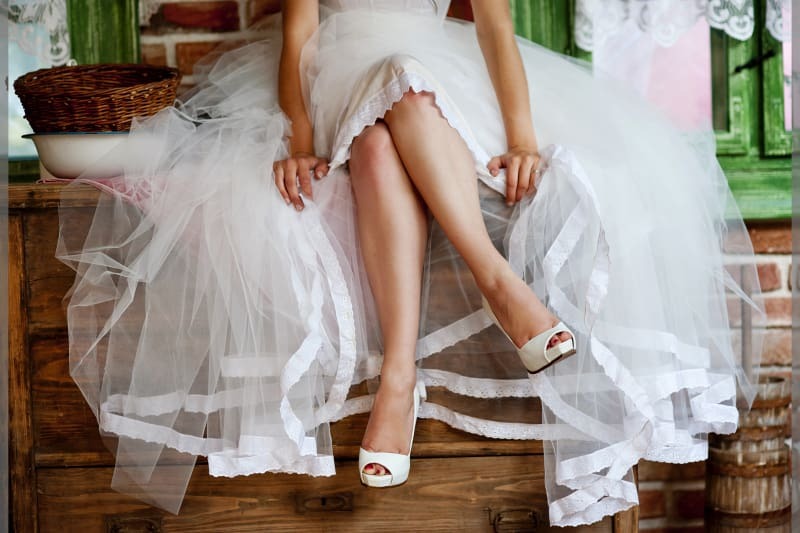 From six months, brides-to-be should starting going to the gym to make sure that they are toning their body, and especially concentrate on toning arms. Brides-to-be should also start to have regular facials from six months, and they should look to have one every four weeks so that they have at least five sessions before the wedding day. In The Ritz Salon, I recommend the Elemis Visible Brilliance Facial, which will help to brighten and illuminate the skin. Keep having the same facial every four weeks, unless you have a specific concern that you would like to focus on. With the Elemis Visible Brilliance Facial, we can prescribe the facial and adjust a few of the products depending on the clients skin concerns. I would also recommend for the Bride to have a good hair cut three months before the wedding, and then a trim a couple of weeks before. One month before the wedding is now getting really close and I recommend having a hair and make-up trial at this time. Your skin will be bright and glowing after the facials and a make-up trial is essential as this, especially, can be subject to personal taste. If you colour your hair, I recommend doing this at least one week before the wedding, just in case any changes are necessary (even if you have the same stylist and same colour it can still look different to normal so to avoid any last minute disasters and ensure it is done in plenty of time to correct it). At one month, start growing your nails, so that they are at a perfect on the day (all of the guests will be asking to look at your ring!). Cuticle oil is one of my hero products to strengthen and hydrate the nails. Exfoliate your body two or three times a week, and use a good moisturiser morning and night. Do a face mask twice a week from one month as well. I would also suggest to have a massage to de-stress you for the big day. With one week to go, your body should be ready. Have your waxing done if necessary and keep your body as a clean canvas if you are wanting to tan the night before. The night before is dependent on your skin type, but I would exfoliate and use a mask on the eve of your wedding, but no new products. Use eye pads as well to make sure your eyes are sparkling for the big day. Drink lots and lots and lots of water. No alcohol. The day before have a manicure and pedicure and wash your hair if you are having your hair put up on the day. Day old hair is the best as it has better hold than if it is fresh clean hair. On the wedding morning, put teaspoons in the freezer. Run them under a tap before placing them on your eyes – this really works to de-puff the eye area quickly before your make up is applied. The Elemis Procollagen Hydra Eye Masks are amazing as it really works de-puffing eyes, getting rid of dark circles over time, brightening the eye area and making the eyes more open and refreshed. I recommend a microdermabrasion facial. This type of facial gets rid of the top layers of skin, and works well to resurface the skin and helps eliminate any recent scarring or imperfections on the skin. A good moisturiser for your skin type is essential and use this morning and night. Do make sure that your moisturiser is right for you – drier skin types should use a thicker moisturiser and if you are have more oily skin, go for a gel based moisturiser. 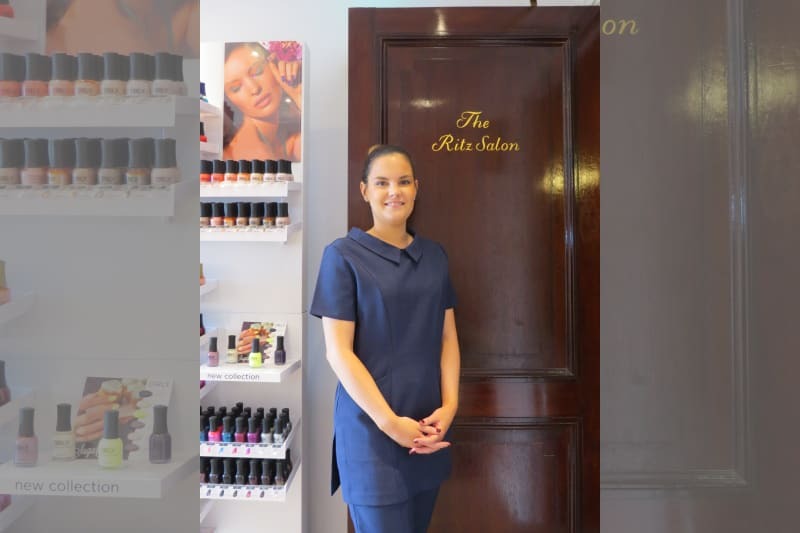 At The Ritz Salon I definitely recommend the Elemis Visible Brilliance Facial. It is a brightening and illuminating facial which is exactly what you want for wedding ready skin. I love exfoliating the skin to take away all the dead skin, and then if you put a mask on the face straight away, you can see instant results. A week before for the lip and eyebrows depending on your hair growth. Legs can be done closer to the day. I also recommend waxing and tweezing (rather that threading as the hair can come back thicker). We recommend for our brides to have their eyebrows shaped in The Ritz Salon a week before because if any spots or irritation occur they can be completely gone by the wedding day. For streak free tan, in the driest areas of your body (such as your elbows, knees, feet -especially your heels – and the back of your wrists which are noticeable), always cover them in a thick moisturiser first. Apply the tan using a mitt in order to get an even coverage all over. I would recommend that brides apply the tan themselves if they are an experienced tanner or have a professional do this but not to get a spray tan. Always make sure you do a test run and that you exfoliate properly before. 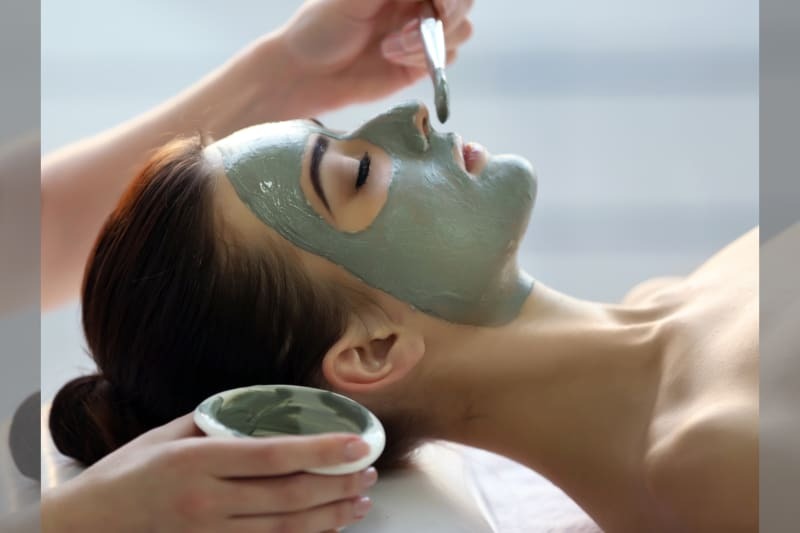 I personally find facials very relaxing, and brides-to-be should be having these regularly. A relaxing 50 minute or 80 minute Swedish Massage in The Ritz Salon is very relaxing because it focuses on the areas which carry the most tension, such as the shoulders and scalp especially. An often overlooked area is the thigh area. People can get cellulite no matter how skinny they are and the thighs are often neglected. Cellulite is caused by poor circulation and the toxins get trapped. I recommend daily dry body brushing with an Elemis dry body brush every morning before you shower – always on dry skin. It’s painful but the results are very worthwhile and noticeable, always brush up towards the heart and not downwards. Hair is also so important. 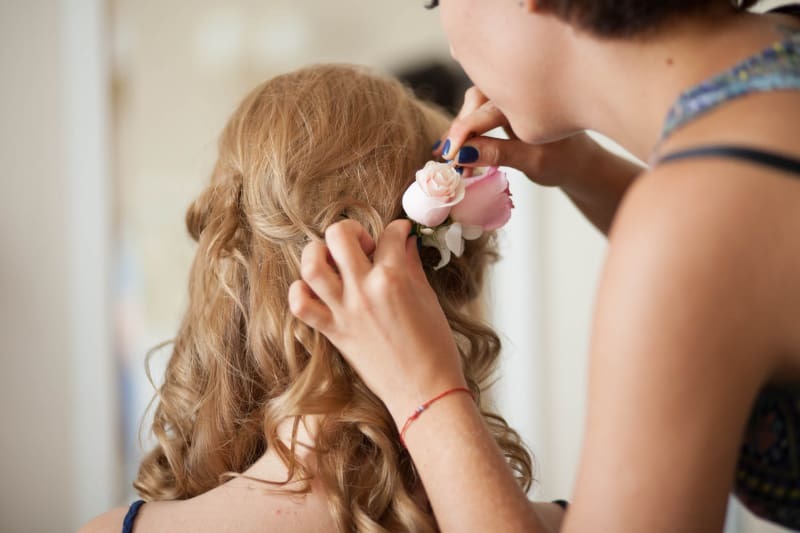 Brides to be should do hair masks regularly to get a nice shine. You can also get a Wella shine spray from The Ritz Salon for the day of the wedding which looks unbelievable in pictures. We use this on all of our Ritz Brides. Want to book yourself in for some of these expert treatments? You can contact the Ritz Salon directly through their Bridebook profile!